Your personal credit rating reflected in your credit bureau report affects your ability to apply for consumer and business loans. These include credit cards, car loan, home loan and SME loan. Unless you belong to the rare group of people who can afford to pay for everything including cars and property purchases with cash, you’ll eventually need to apply for a loan. Business loans applications in Singapore are usually subjected to the director’s personal credit score assessments as well. We have encountered countless business loans applications that were rejected due to poor personal credit rating of the director. Some of these companies are profitable with good cash flow, qualifying for most banks’ business loan criteria. To be eligible to get a personal or business loan from a bank or most lending institutions, you will need to have a decent credit score. Some people don’t think much about their credit score, especially since when they are not of immediate need of a loan. It is important to know your personal credit score and be up to date with it. To know your credit score, you need to get your credit bureau report from the credit rating agencies in Singapore. The credit bureau is where all your credit information is kept, and it is where banks and other lending institutions take reference from when assessing your creditworthiness. Before you apply for that SME loan, it would be a good idea to check out your credit score as well and make sure that everything is in order. Credit bureaus and credit rating agencies started out as a group of merchants and banks, who formed associations so that they could exchange information about the customers’ borrowing and payment habits so that they can be better informed about who to give loans to and what to expect from them. These associations turned into credit bureaus, and later they become large establishments in each country, where banks, other lending institutions, and lenders can go to access your credit history. There are two major credit bureaus in Singapore: Credit Bureau Singapore (CBS), and DP Credit Bureau, which was created to gather and store information on borrowers’ credit conducts. A collaborative effort between the Association of Banks in Singapore and Infocredit Holdings, CBS is the country’s most inclusive credit ratings agency, with complete uploads of consumer payment information from participating banks and financial/lending institutions. CBS gathers information on individual’s credit payment conduct from banks and financial institutions and puts them together to create a credit profile of borrowers to potential lenders. With this information, the financial institutions will be able to assess the credit worthiness of an individual. This information that CBS gathers on you is an assessment of your credit-worthiness and is compiled and put into a credit report. Simply put, a credit report is a complete record of your credit history, which has been gathered from different financial institutions and condensed into a set of figures and letters. Your credit report shows how much you have borrowed, when you borrowed, and how long you take to make repayments, in how many intervals, and whether if outstanding credit cards dues are paid in full. For banks or institutions where you are seeking for loans from, your credit report shows them just how well you pay back loans and your existing credit facilities, helping them to decide if they should approve your application for a loan. From the above extract, the account status history of the credit report is the most important part of your credit profile. It details the current personal credit facilities you have, the banks granting you the facilities and most importantly, your payment conduct over the last 12 months. The column on the most right side shows your latest recent repayment records with the most recent on the left. What you should be looking out for is the data on the top row. You should have the status ‘A’ as it denotes that payments are current up to 29 days past due. Below is the full legend of the ageing status. Your credit report will also affect current lenders decision on whether they should increase your credit limit, or if they should grant you one (if you don’t own a credit card already). Your credit report usually contains your financial history and your risk grade, which is the credit bureau’s proprietary index on the possibility of defaulting. Each range of possibilities is denoted by numbers, from AA to HH, with AA being the best credit score, and HH indicating a strong possibility of defaulting on your loan payments. Your credit score is a number, or a group of numbers, that banks or lending institutions use to confirm the possibility of you paying or defaulting on your loan payments. A four-digit number, or score, is used by the CBS to grade your loan payment history. The CBS Credit Score ranges from 1000 to 2000: a score of 1000 on your credit report puts you firmly in the HH category, meaning that there is every likelihood that you would default on your loan payments (based on your payment history); a score of 2000 shows that there is a very high chance of you paying back your loans, placing you in the AA Risk Grade. Credit Bureau Singapore does not influence any decisions on whether you get a loan or not: they just objectively provide the information that the participating banks input on their borrower’s records. Also, it isn’t just your score that matters, but other factors like your income, how many credit facilities you use, how long you have been employed/unemployed, et cetera. Knowing your credit score matters because it can affect your borrowing capability and access to funding. A good credit score might enable you to access credit facilities at lower and preferential interest rates. 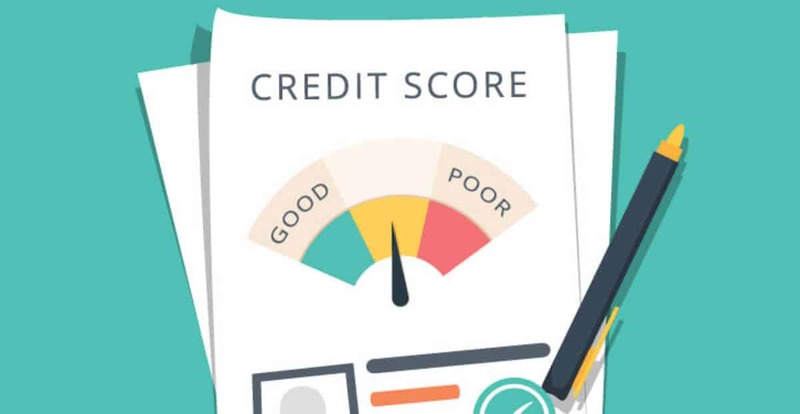 A good credit score could also improve your eligiblility for any type of loan you may decide to apply for, whether a car loan or a business loan. A good credit score means that you can actually buy a house with a mortgage, rather than rent one due to a poor credit history. For business owners, it could mean whether if you’ll be qualified for SME financing when you need it. If your credit score is between EE to HH status, there are easy ways for you to improve it. All that is required is some discipline and some changes that will help improve your credit score and be eligible for loans when you need them. The main factors that determine your credit score are: How much you utilize to your unsecured credit facilities like your credit cards, and how prompt you pay off your dues every month. Paying off your debts on time is a great way to improve your credit score. If you can’t pay it off all at once, then make sure you at least pay the minimum amount billed to you every month at the same intervals, on or before the due date. 2. Always check your credit bureau report, and report any discrepancies to the Credit Bureau. As good as the credit system is in Singapore, it is not fault-proof: there will always be teeny mistakes that could be ruining your credit. Try to review your credit report at least once a year and go through it diligently, reporting any discrepancies that you may find. These could be the things that are giving you a bad credit score. Sometimes, banks might not have updated your payment records or you might have some credit card annual fees charged to your account you’re not aware of bring reflected as outstanding payments. Every lending institution has its own requirements that you must meet to be eligible for a loan. This act of fast and frequent borrowing screams to the banks and financial institutions that you might be a high default risk borrower, and will lower your credit score, because every time you apply for a loan, an enquiry is made against your report. Commitment is key. Stay sharp and focused, have a budget and a budget audit, and don’t get carried away with unnecessary spending. Make it a habit to always check your bills on time. If you can’t do that, arrange for a Giro to auto-credit your monthly payments so you will not miss out on any payment due dates. Your credit cannot be assessed if you don’t use it. No credit assessment means no credit score, and no credit score means that banks can’t ascertain your payment conduct when assessing your loan application. Since they cannot determine how well you manage your finances, granting you a loan or a credit card will be difficult. If are a first-time borrower and have no existing credit records, your credit bureau report will reflect credit rating of CX, which means there is insufficient information to determine a credit score. Many will think that it’s good not to owe banks any debts and those with no credit facilities should be classified as good quality borrowers. On the contrary, most banks will be reluctant to extend financing to first-time borrowers with no credit profile as they can’t establish whether if they are good paymasters. If you are drawing a high income from your business, your credit cards credit limits will be high as well as most banks will grant 2x to 4x of your monthly income for your credit limit. If you do not need to utilize such a high credit limit consistently, try to request your banks to lower the credit limit of your cards. Also, cancel cards that you applied previously but don’t have any use for. If you’ve a high total aggregated total credit limit from all your personal unsecured credit facilities, it will impact your credit score even if you don’t draw down on the limits. Reason is because you are considered a high credit risk as you can draw down at any time a large unsecured credit limit. Your credit bureau report is one of those small things that most business owners do not pay much attention to but is absolutely critical when you require a business loan. A poor credit score is one of the common issues stalling loan application process. It is a waste if you have to miss a business opportunity just because your business loan application is declined due to poor personal credit rating and low credit score. Be mindful about your credit records and review your credit bureau report frequently to position yourself with the best borrowing capacity when the time calls for it.